Over the last four years under President Obama we have experienced the worst economic times since the days of Jimmy Carter. Obama has added more to our national debt than all previous presidents combined. To make matters worse the President has apologized repeatedly for the US and has lowered our stature in the world, reducing us to followers. He has failed to deliver on his lofty promise of hope and change. By 2020, North America will be energy independent by taking invented of our oil, are coal, our gas, our nuclear, and renewables. We will give our fellow citizens the skills they need for the jobs of today and the careers of tomorrow. When it comes to the school your child will attend, every parent should have a choice, and every child should have a chance. We will make trade work for America by forging new trade agreements, and when nations cheat in trade, there will be unmistakable consequences. To assure every entrepreneur and every job creator that their investments in America will not vanish, as have those in Greece. We will cut the deficit and put America on track to a balanced budget. We will champion small businesses, America’s engine of job growth. That means reducing taxes on business, not raising them. It means simplifying and modernizing the regulations that hurt small businesses the most and it means we must rein in skyrocketing cost of health care by repealing and replacing Obamacare. Mitt Romney knows what it takes to turn failing companies into successful companies. His plan is simple yet right on point. Each priority is in sharp contrast to Obama’s ideas. It is about time that we have as a top national goal to be energy independent. Obama has worked against this, shutting down oil rigs, piling on regulations on the coal and gas industries and stopping the Canadian pipeline project. Obama wants to protect the teachers union so giving parents a choice of where there children go to school is not in his plans. Similarly his obsession with unions has prevented him from pursuing trade deals. And Obama has shown his ignorance of economics by calling for tax increases on the job creators. The choice in this election could not be any clearer. 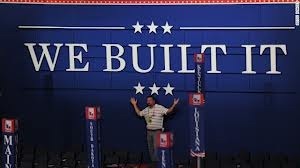 The first night of the 2012 GOP convention was packed with powerful speeches that provide hope to America. Hope that we will have a new leader, hope that we will be serious about addressing the debt and deficit, hope that America will be strong again and hope that we will return to the principles that made America the greatest country in the world. You see, I believe we have become paralyzed, paralyzed by our desire to be loved. 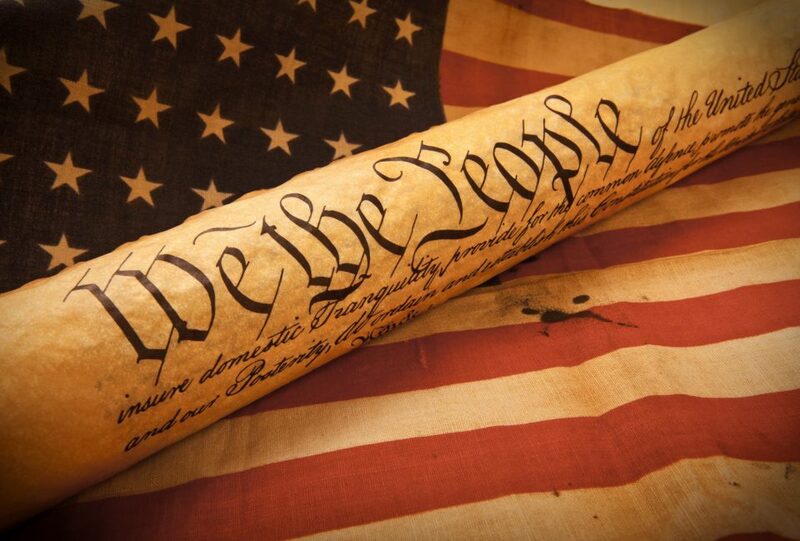 Now our founding fathers had the wisdom to know that social acceptance and popularity were fleeing, and that this country’s principles needed to be rooted in strengths greater than the passions and the emotions of the times. But our leaders of today have decided it’s more important to be popular, to say and do what’s easy, and say yes rather than to say no, when no is what is required. They believe the educational savages will only put themselves ahead of children, that self-interest will always trump common sense, they believe in pitting unions against teachers, educators against parents, lobbyists against children. They believe in teachers’ unions . We believe in teachers. I am here to tell you tonight, it is time to end this era of absentee leadership in the oval office and send real leaders to the White House. there’s only one thing missing now. Leadership. It takes leadership that you don’t get from reading a poll. You see, Mr. President, real leaders do not follow polls. Real leaders change polls. We believe — we believe we should honor and reward the good ones (teachers), while doing what’s best for our nation’s future, demanding accountability, demanding higher standards, and demanding the best teacher in every classroom in America. there never were long, long rainy winter afternoons in a house with five boys screaming at once, and those storybooks never seemed to have chapter’s called M.S. or breast cancer. A storybook marriage? Nope, not at all. What Mitt Romney and I have is a real marriage. You can trust Mitt. He loves America. This is the man America needs. This is a man who will wake up every day with the determination to solve the problems that others say cannot be solved, to fix what others say is beyond repair, this is the man who will work harder than anyone so that we can work a little less hard. I can’t tell you what will happen over the next four years. But I can only stand here tonight as a wife and a mother and a grandmother, an American, and make you this solemn commitment. America and the world have lost a true hero. Neil Armstrong was the first man to walk on the moon. 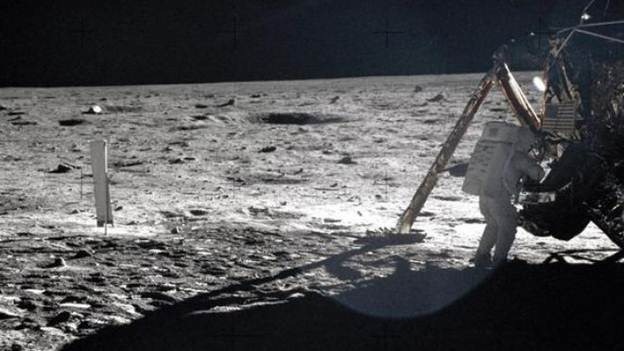 The largest television audience in history was riveted to the screen in 1969 to watch Neil Armstrong and Buzz Aldrin step onto the lunar surface. 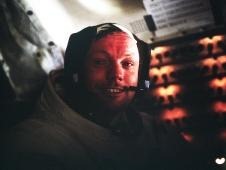 Armstrong has died of heart complications at the age of 82. Armstrong’s words “That is one small step for a man, one giant leap for mankind,” spoken on July 20, 1969, as he became the first person ever to step onto another planetary body, instantly became a part of history. (Note that this quote when used is usually stated without the “a” before man). People who witnessed it will never forget it. Armstrong was a hero no doubt. But he never cashed in on his success. His modesty and quiet life showed the true measure of the man. He made few public appearances. He gave very few speeches or interviews. His resignation from the public square made his lunar walk something mankind achieved rather than something Neil Armstrong achieved. He elevated this walk to be the culmination of the work, not only of the thousands of engineers and scientists who directly worked on the mission, but of the nation and mankind. Americans have always taken pride in NASA. Young boys and girls dream of becoming astronauts one day. We always looked forward to the next mission. The space program fed our national pride and competitive spirit. The space program was just another example of America’s exceptionalism. Therein lays the problem for Barack Obama, our President who does not believe in American exceptionalism. As a matter of fact his administration’s goal has been to lower America’s standing in the world. President Obama’s promised to fundamentally change America. Sadly many of the voters did not know him well enough to know what that meant. 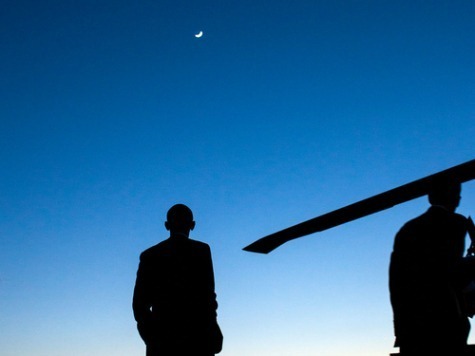 As just one example, he told NASA administrator Charles Bolden that his highest priority should be “to find a way to reach out to the Muslim world and engage much more with dominantly Muslim nations to help them feel good about their historic contribution to science … and math and engineering.” The result of Obama’s new focus was the end of an era, the death of the space shuttle program. NASA’s space shuttle fleet began setting records with its first launch on April 12, 1981 and continued to set high marks of achievement and endurance through 30 years of missions. Starting with Columbia and continuing with Challenger, Discovery, Atlantis and Endeavour, the spacecraft has carried people into orbit repeatedly, launched, recovered and repaired satellites, conducted cutting-edge research and built the largest structure in space, the International Space Station. The final space shuttle mission, STS-135, ended July 21, 2011 when Atlantis rolled to a stop at its home port, NASA’s Kennedy Space Center in Florida. Perhaps it was time for a new technology, and new type of “space craft” to allow us to go beyond the moon. But Obama has no desire to explore our universe. There is no succession plan. There are simply just plans to make Muslims feel good about their achievements in math and engineering, whatever that may be. Perhaps the President’s feelings about Neil Armstrong and the space program can be summed up in a picture. In Obama’s remembrance of Neil Armstrong on his passing, he did not use a photo of the lunar walk or other photos of Armstrong. He used this as a photo opt for himself, the most arrogant and narcissistic President of all times. Here are the five top reasons to vote for the GOP nominees. 1. Jobs. Romney-Ryan (RR) know how to create real jobs, not government make-work pork spending re-packaged as stimulus spending. 2. Obamacare. Romney-Ryan know how devastating Obamacare is and will be on our economy. The GOP must have majorities in both the House and Senate to pull off a repeal. 3. The debt & deficit. Romney-Ryan are serious about eliminating the deficit and paying down our debt. Obama and the Democrat party have no interest in this. 4. Supreme Court. There may be as many as three retirements over the next Presidential term. Mitt Romney will appoint conservatives to the Court, Obama will appoint people who do not believe in our Constitution. 5. Education. Mitt Romney has a plan to reform education. The unions and the government have destroyed our primary education system. Talk about Democrat chutzpah. Harry Reid has not produced one tax return in his 30 plus year career. And Obama has hidden just about everything in his past (or made stuff up as in his books) and refuses to comply with document requests in Congressional investigations.